Characteristics : PLEASE NOTE. This product is not suitable for professional use in local establishments (for home use only). For all lovers of Scandinavian vintage design, Hay reproduces furniture from the FDB collection – the icons outlined by great Danish designers in 1950’s -1960’s. This beech chair is a reproduction of an original model designed by a famous Danish architect Poul M. Volther in the sixties. 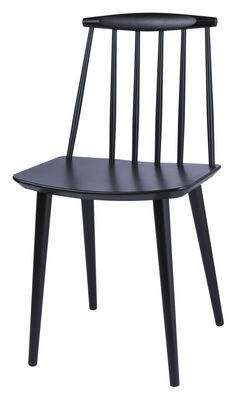 A blend of retro-styled lines and features of modern style… J77 Chair is a reproduction of a great classic, the Windsor chair, very popular in the 18th century. 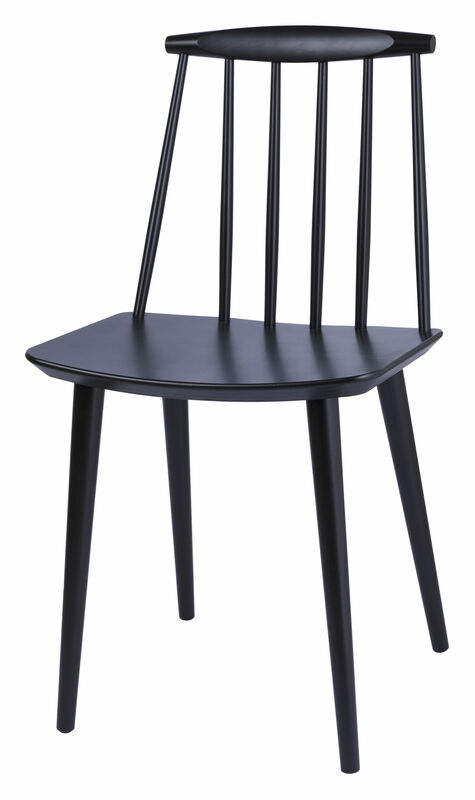 Poul M. Volther respects the principal characteristics of the traditional Windsor chair– the material is wood and the backseat is composed of sticks forming an openwork; a balanced and incredibly airy structure. The graphic effect of this small and very decorative chair is just lovely! The large seat gives you optimal comfort. J77 will bring a vintage feel around your table.